There are many different areas of life that vie for our attention and there is only so much time we may devote to any one area. Generally speaking, I can improve most any area of my life I pay attention to, simply staying aware of any particular facet of life is almost curative in terms of improvement. So, this blog is kind of like my insurance policy to help me keep track of my weight and running although these days I am most concerned about weight and not running because of a $756 bet I made on HealthyWage.com over a year ago to weigh no more than 212 lbs by July 5th-July 19th which will pay out a nice $2,096 if I can make that weight 11 weeks from now. There are limits as to how much extreme diet and exercise manipulations can do so the bulk of the weight loss between now and that final weigh in will need to be legitimate weight loss. If I can get down into the teens, 216 or so then I should be able to employ some emergency measures to hit my final weight. I am still on my Run Streak and completed day 291 yesterday (4/17/2016) but have usually only been doing the minimum 1 mile per day to maintain that streak. I’ll have to update my chart on the Running Log page. 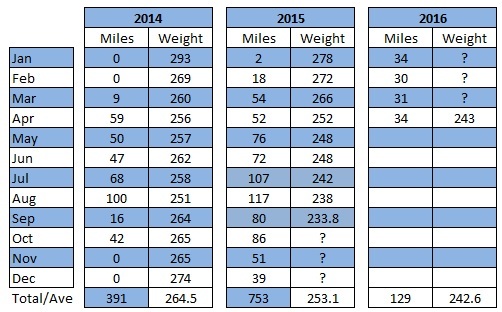 I have data for all my runs and mileage but will have question marks for several months regarding my weight. About 5 days ago I had a legitimate weight of 243.8 which I’m happy with because at the beginning of last year my goal was to weigh in the lower 240s so, I’ve maintained that pretty well and, at the worse have kept with in striking distance of that previous goal weight. Mainly, sparse eating combined with an increased volume of lower intensity distance training with lesser bouts of speed work and probably some weight lifting thrown in there should be an effective combination towards achieving this 212 goal. That goal still boggles my mind a bit because …well, I can’t really remember the last time I weighed so little. In terms of overall health, it may be the case that weighing even less may be optimal but, one step at a time. Other than that, I’ll probably be adding a net tab or page called Money, since i landed a freelance writing gig that has this webpage listed in my bio and figure I would put a link to my Facebook, S4 Mafia Investment Club page since this page doesn’t have much to do with finance. This has been an interesting week. This past Monday I saw a weight in the 220s for the first time in I don’t know how long …. 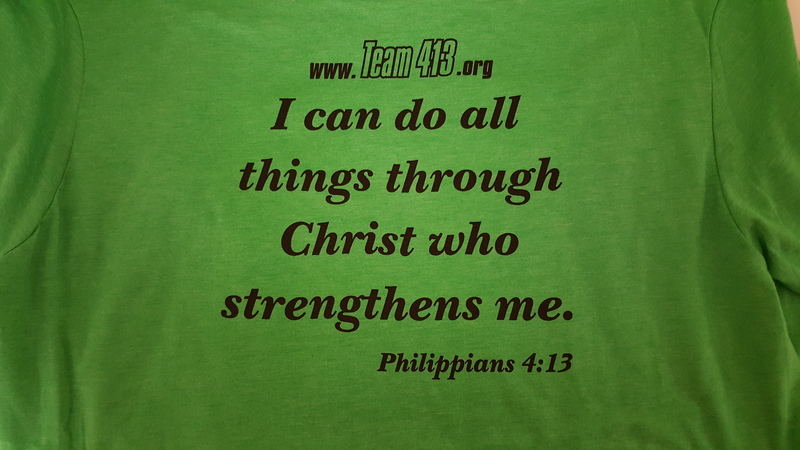 I actually set a 5K PR (personal record) this past Saturday (8/29) and thought of the many people on DietBet working to improve themselves. Changing oneself, dropping weight or improving as a runner can be such a long, arduous process. I’ve been fortunate and grateful that I am still able to improve. I am very grateful. However, the timelines in my head, the pace at which I envision improvement has always fallen short of the reality. Maybe not by much, a few months perhaps, maybe more but there’s no cheating reality. I guess a key to success is in bolstering hope while minimizing discouragement and continuing with persistent efforts. For me, that 5K represented an expression of hope and something I wanted to share. It represents 20 months of training that started in January of 2014 with a few hundred miles of walking and culminating with nearly a 1,000 miles of running thereafter. It started with a body weight of 316.2 pounds and barely able to run 15 seconds. So, while a 5K in 34:25 is below average or mediocre at best in the world of runners, it was huge for me. There will come a time in our life when we won’t be able to improve our times anymore. I don’t know exactly when that will be for me but, for now, my goals are still fraught with improvement. 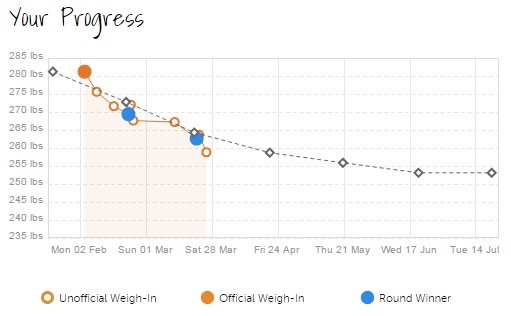 Week 22 Weigh-In, Lowest Weight in a Decade! The lowest weight I can remember with certainty (other than my high school football playing weight) happened back in the one year period of time prior to January 2002. It was sometime during that year I was listed in Powerlifting USA magazine as having one of the top 100 Bench Presses in the nation, a 515lb bench at a body weight of 222 lbs. So, I’m guessing there may have been a month when my weight was in the 240s or maybe less but other than going back 14 years I don’t know of any other time when my average weight for the month has been in the 240s. 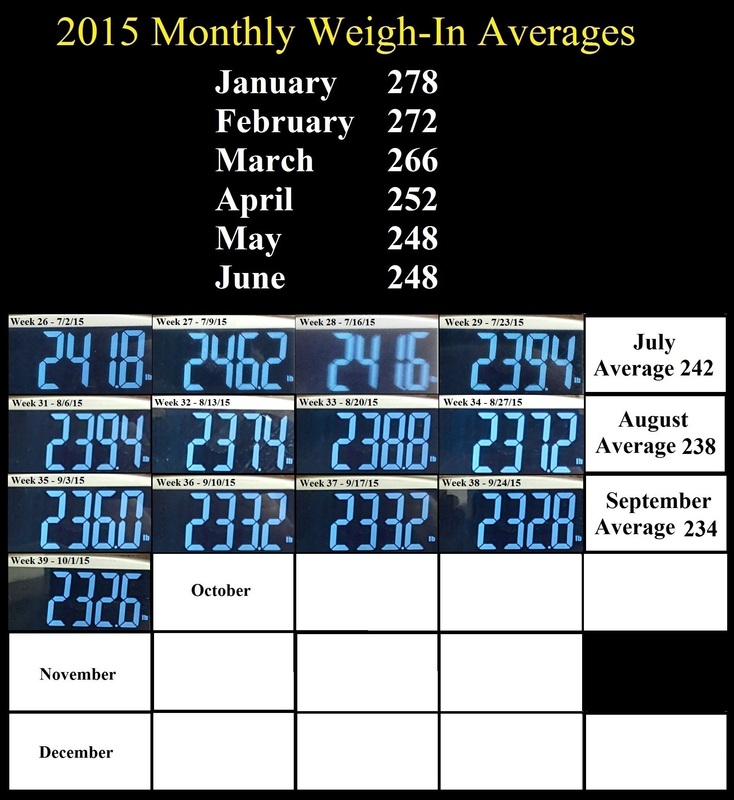 This month, I have an average weight of 248.2 lbs! 🙂 So, I am 4 lbs lighter this month then I was last month. The dynamics of this month’s weight change are kind of interesting. 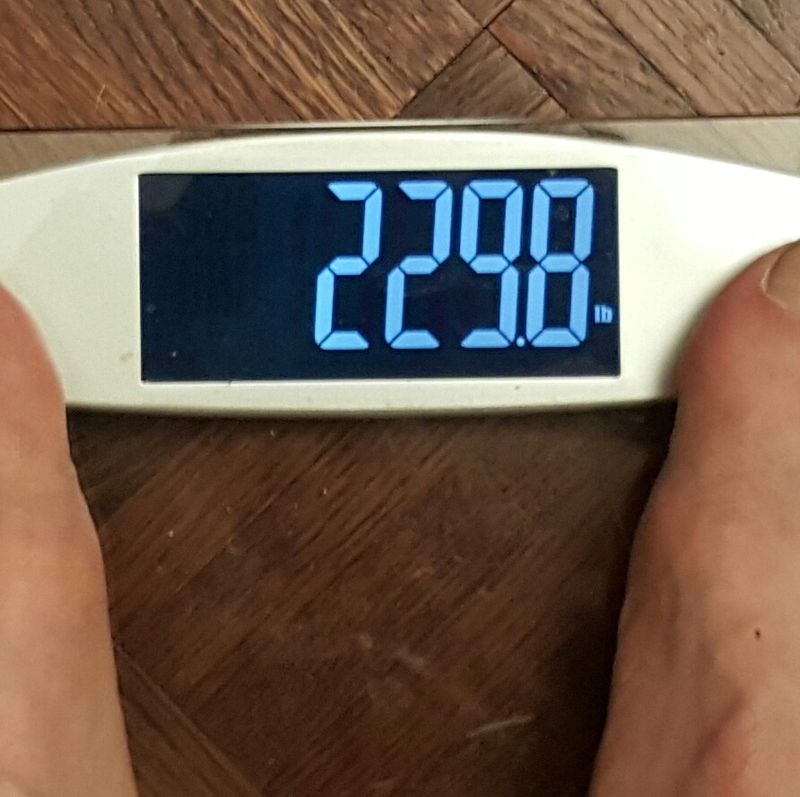 After my double run weekend with the Starved Rock marathon on Sat followed by the Chicago 13.1 on Sunday my weight steadily increased to a high of 251.8 however – after a memorial day weekend of eating BBQ, hamburgers and pizza, my weight kept dropping down to it’s current low of 245.8. I don’t fully understand all the physiological mechanisms associated with running a marathon due to a lack of experience with that distance but ….and I don’t mean to offend anyone here and I’m not sure how to couch this topic but, when I was in clinic a standard part of every patient’s first visit was to do a simple dip stick check on their urine. We’d look for basics like nitrates, sugar and specific gravity of the samples. From visual inspection, I know I had a very low specific gravity (light colored urine) prior to my Moonlight full marathon as I was very well hydrated but, after the double run weekend that specific gravity went way up to maybe 1.2 to 1.3 (much darker color) so, I associate this with the physiological stress and extra waste products that the kidneys had to contend with after those runs. Various corticosteroids and creatinine kinase come to mind but, I’m sure there’s a whole host of other variables of which I’m unaware of. Generally speaking, I associate the 4.4 lb gain with stress and the subsequent 6.0 lb loss with recovery and much less stress. oh boy ….well, Starved Rock was supposed to be my 2nd full marathon in a week and thereby giving me Marathon Maniac (MM) eligibility but …There was a torrential downpour, thunderstorm and lightning strikes along the course which prompted race officials to send out school busses to pick up runners so, for me, that run ended around the 12 mile marker. On a positive note, bright and early the next morning I knocked out a half marathon up in Chicago. The plus side here is when you compare this past weekend to a very similar situation I had last year. In April of last year I was signed up for a half marathon in St Louis which was to take place on a Sunday but then noticed the ultra cool medals given out for the Lincoln Presidential half marathon (50th anniversary) which was taking place the day before the St Louis run. I did the Lincoln half but was so physically decimated by that run I couldn’t walk right even the day after that run and ended up giving my bib for the Sunday run away. So, I’ve at least improved to the point where running back to back half marathons no longer intimidates me and is now within my ability level. 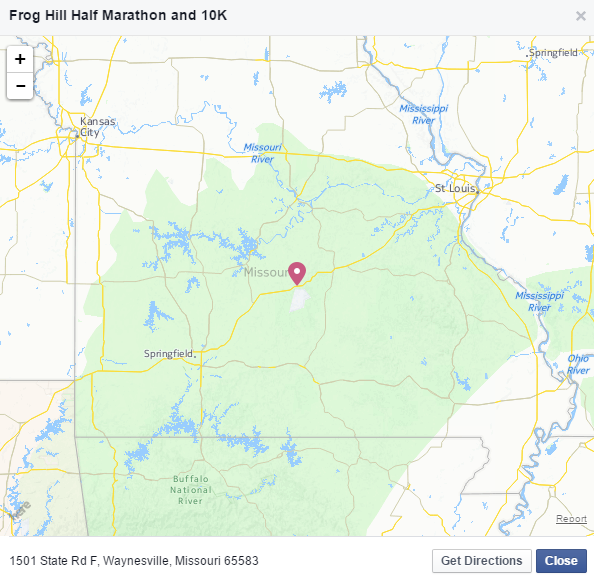 The full marathon – 26.2 miles – still intimidates the heck out of me. 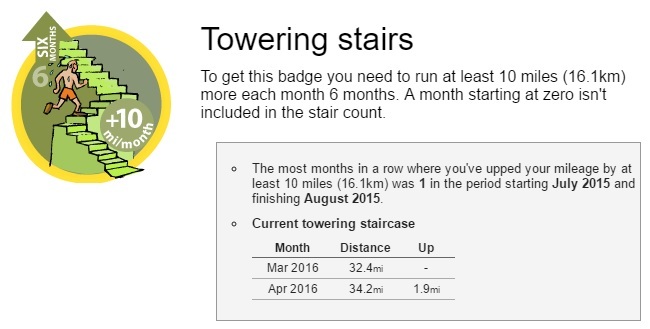 Having failed at completing two full marathons in 16 days my only other option for meeting the minimum requirements to become a MM are to complete three full marathons in a time period of 90 days…. good grief…. Personally – I’ve started to refer to my marathon aspirations as …..
My thinking here is akin to when man first set foot on the moon back in 1969. Literally just years prior to that time we didn’t have the ability to accomplish such a task so, we really ended up accomplishing that feat with nearly the minimum amount of ability possible. I see this the same was as Columbus sailing across the ocean ….in a wooden boat ….virtually zero navigational acumen available other than a sexton and yet …he did it. When it comes to me and full marathons, I’m kind of like that wooden boat – sort of the minimum level of ability to cover the distance. Still, there’s been some improvement over last year when I believed my boat would flat out sink had I attempted the full marathon I was originally signed up for in October of 2014. I believe the Courage to Start is the name of a book by John Bingham, affectionately known as “The Penguin” but, with my recent runs my thinking has changed to the point where I now believe that finishing a race is the easy part – relatively speaking, when compared to the courage displayed by everybody at the starting line who all had to overcome something in their personal lives in order to even sign up, show up at the race and begin. 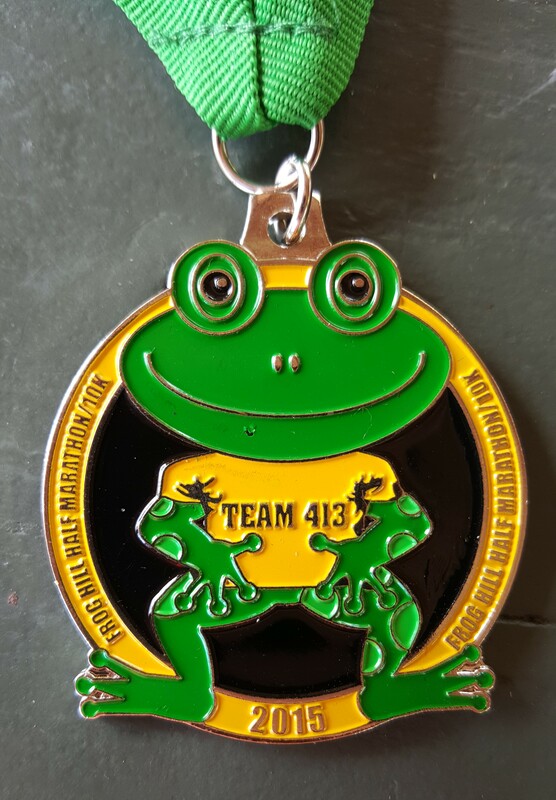 I’d like to make this MM endeavor as fun as possible and to that end I am considering two races, one for this coming June 13th and the other on July 18th. 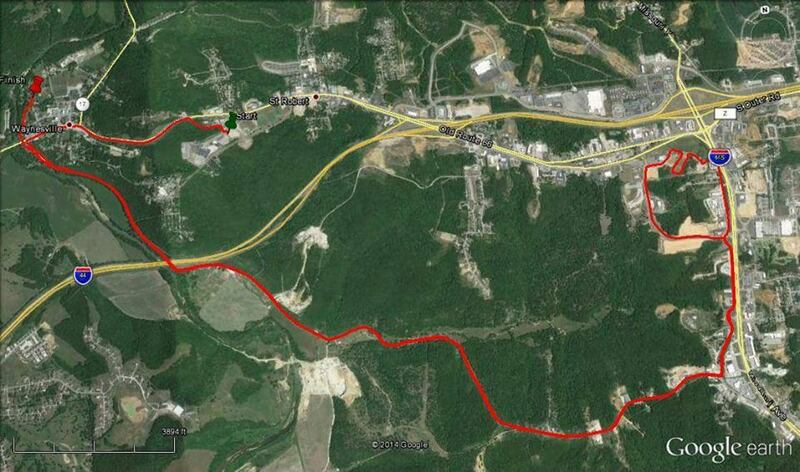 On June 13th is the Hatfield and McCoy full marathon. 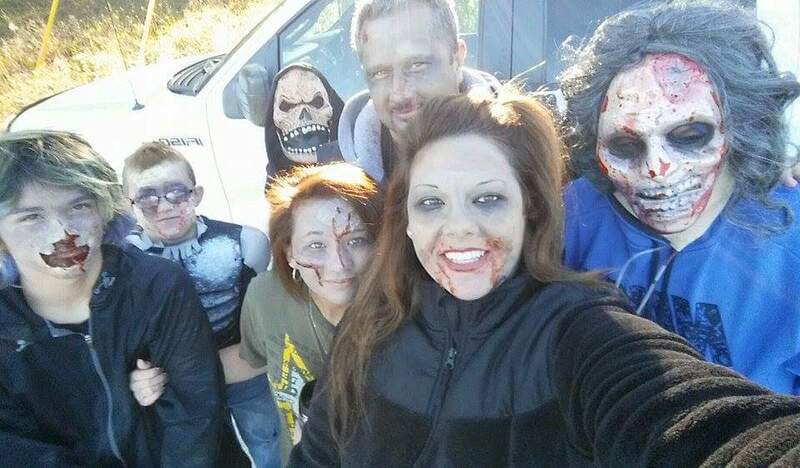 This takes place in South Williamson, Kentucky right on the border with West Virginia. It’s about a 7.5 hour trip driving but, there’s no time limit and I’ve never been there before and I can count either Kentucky or West Virginia as one of my 50 states. Also, there is a bit of real life history associated with the run which I’m always up for and …did I mention – there’s no time limit? On the downside, this run is apparently one of the 15 hardest full marathons in the country but, I must do my best to ignore that portion of reality – there’s no time limit. Today I weighed in at 260.2 which is exactly what I need to weigh this Saturday to win my next DietBet Challenge. Pretty cool 🙂 I’ve actually dipped down into the upper 250s so, I’m well on my way to hitting my previously set goal for this year of being down into the low 240s. It’s kind of crazy, from the first weigh in of the month when I went up a bit and hit 272.8 I ended up dropping 14 pounds over the next 18 days. 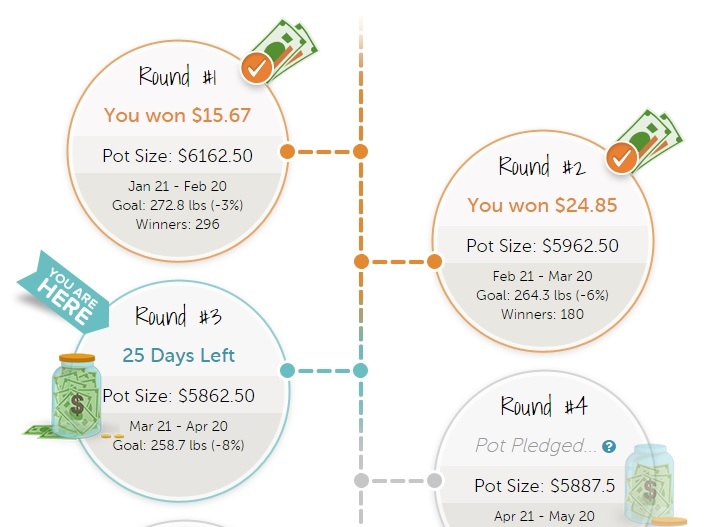 The one month DietBets where we’re supposed to lose 4% of our body weight have been interesting because the one “big money” game where we bet $100 only paid off a total of $108 but the smaller games that cost only $30 ended up paying off about $45 each – easy money. Next week, I’m going to sign up for a third 6-month transformation DietBet where the goal is to lose 10% of your bodyweight in 6 months. The breakdown of what we have to lose each month is really cool. In order, the weight loss goals are 3%, 3%, 2%, 1%, 1%, 0% and as long as you hit your goals each month, you with money. These 6 month challenges require a wager of $150 but, if you pay it all at once you can get in for only $125. If you choose to pay monthly then you have the option of quitting at anytime and not paying any more money. Half of the money bet goes towards the final jackpot while the other half is split evenly among the preceding 5 months or rounds. Since I put in $125, half of that or $62.50 goes towards the final jackpot month while the rest is split up and $12.50 (1/5th of the remaining half) goes towards the first 5 months or rounds. As things stand now, I’ve already touched on the weight I need to be at for next months jackpot – that round ends in 25 more days. 234lbs is also exactly about 10 lbs under the low 240s goal. I’m comfy in the low 240s. I have plenty of clothes to wear and don’t mind taking my shirt off to go swimming and stuff like that. 240 might seem like a heavier weight to some but, I still have a fair amount of muscle mass – I’m good with it. The one thing that is pushing me is the running. I really want to get better. I want to be faster. I want sub 10 minute per mile training times to be the norm again. 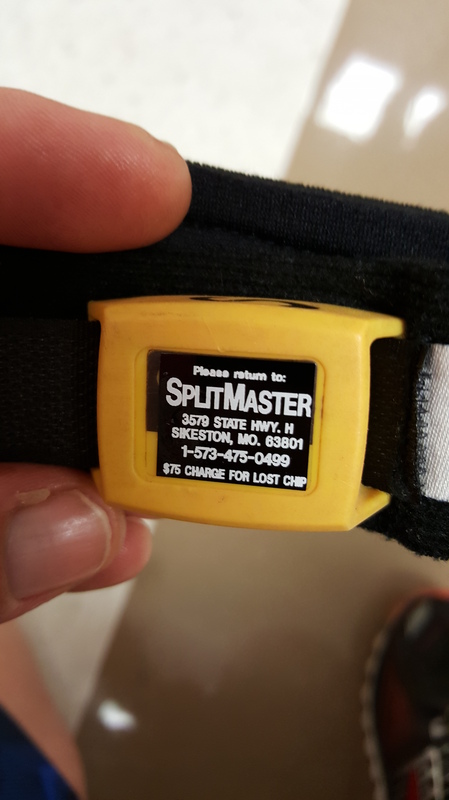 As a football lineman in high school I ran a 6:04 mile – we needed 6 or better to get an extra sticker on our helmet but, the goal of wanting to get under 6 minutes has never left my head. I still believe it’s possible. When I was a few weeks away from my first full marathon, I was able to maintain a pace better than 15 mph for a bit over 2/10ths of a mile. 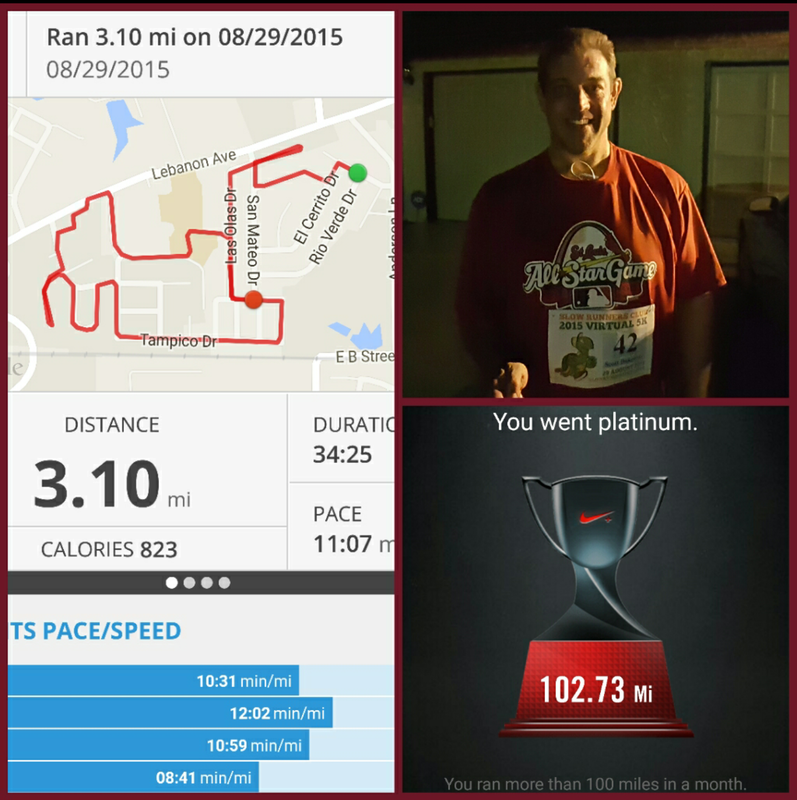 I wanted to see what a Roger Bannister speed felt like. 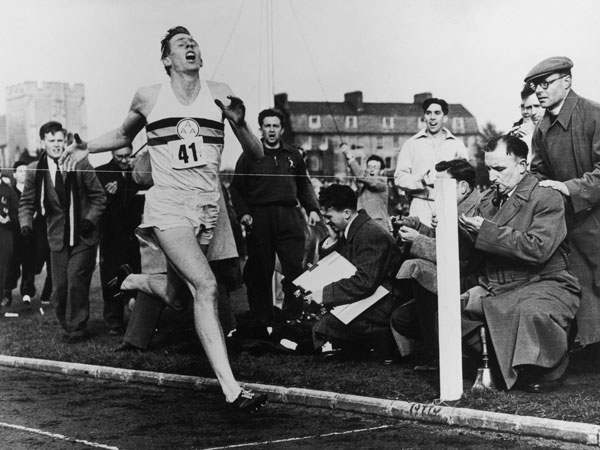 If there’s anyone reading this who isn’t aware – Roger Bannister was the first person to ever run a sub 4 minute mile. 15 mph is the pace you need to run a 4 minute mile. 1 minute per quarter mile. I remember conversations with friends about that quarter mile and the 60 second mark. Sub 60 seconds would be super cool to hit. This Saturday is the middle of a 5 week stretch of runs I have every weekend. It’s an interesting mixture of runs I have going. Two weeks ago was the 5 Mile St Patrick’s run in St Louis, last weekend was a 5K at a local University, this Saturday is the inaugural Bridge & Dam 10K at the Lake of the Ozarks in Missouri then I’ll have back to back 1/2 marathons to cap off the 5 weeks. 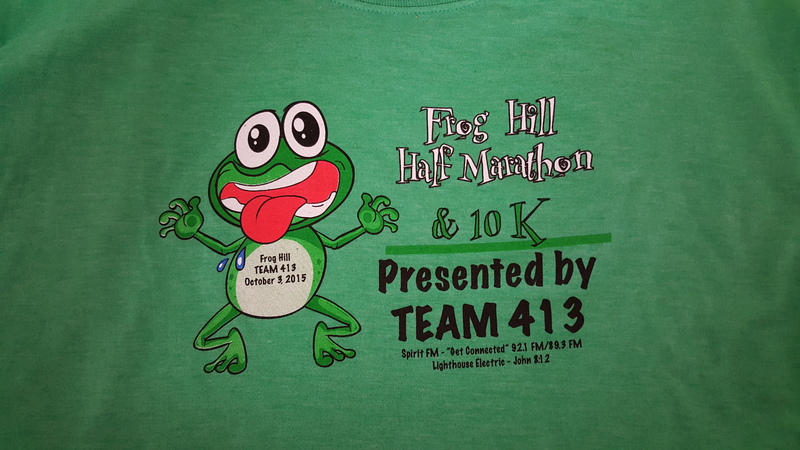 The following week is another local 5K which is one of a three part series of local events. The other two events are the local Tour de Belleville which I do almost every year anyway and the final event is a Gingerbread 5k sometime in December but, completing all three events qualifies people for a 2015 Belleville Triple Crown Athlete Medal – sounds kinda cool. 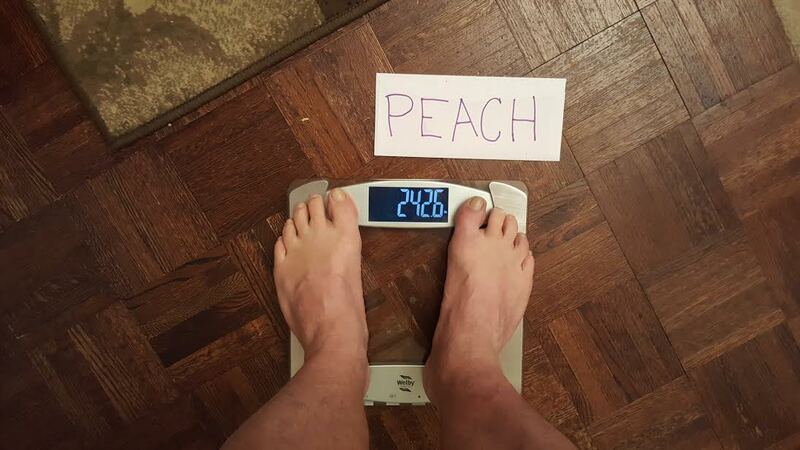 Right now, my current weight is below my average 2014 weight. 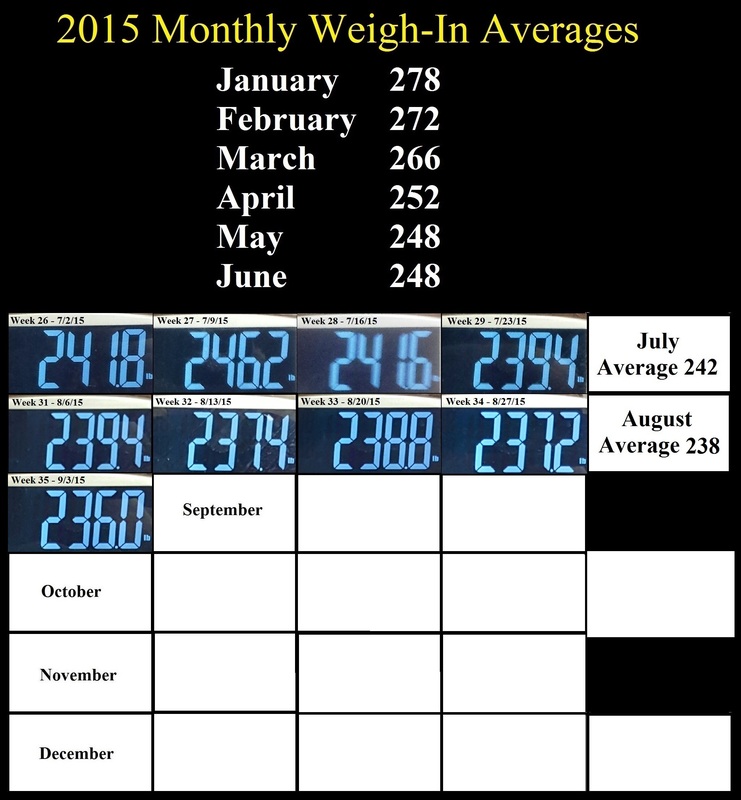 In April, I’m looking for my average weight for that month to be in the 250s and, probably by May, my average weight for this year will be below what I was at last year. So, three little metrics to ponder and help keep the game fun & winning. Click on the Banner to get your share!